I used to never be a big fan of roses when it came to floral print but for some reason I've grown to adore them. 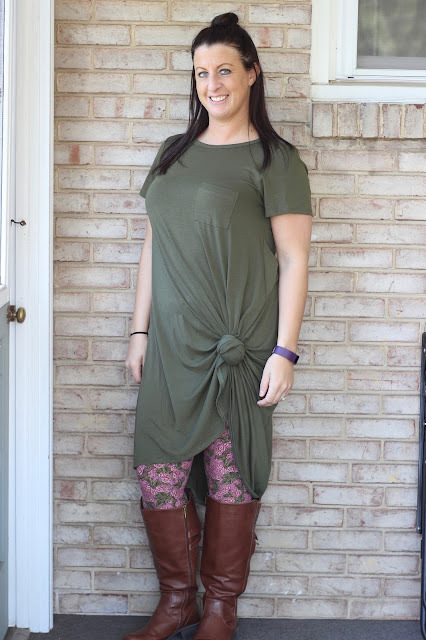 So these adorable leggings from LuLaRoe have pink roses with green leaves and it looked perfect paired with a knotted forest green Carly. I really do love floral prints but there is something with roses that are even more feminine and beautiful. 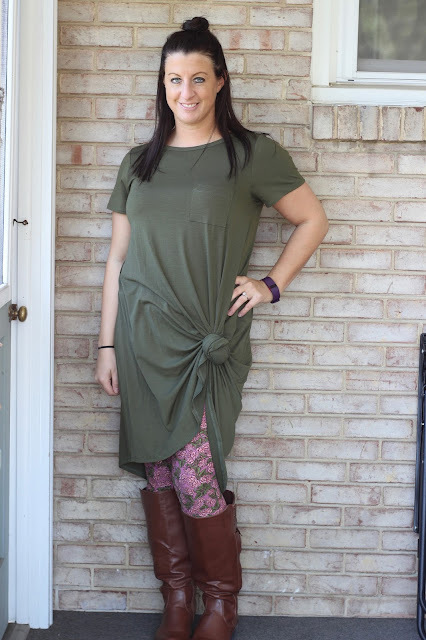 Do you like floral print or is it something you never feel right in? I love this outfit. The colors are so pretty together.